Studies of relatively recently resettled refugees have noted social disconnection, linked to various physical and mental health outcomes, as a concern. Limited studies have examined whether social disconnection and its effects persists within refugee populations resettled more than 3 decades prior. The relationship between social disconnection and self-reported health was explored in a secondary analysis of a cross-sectional needs assessment survey with a snowball sample of 100 Cambodian refugees residing in Connecticut. Social disconnectedness and comorbid health conditions were prevalent. 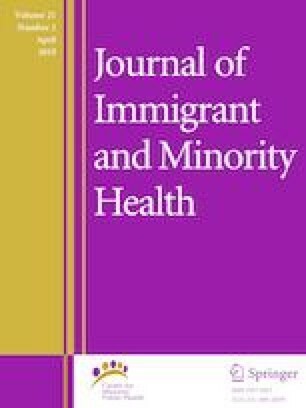 Lack of religious and community engagement were associated with poor health outcomes, while individuals with a lack of ethnic engagement reported better overall health. This study underscores the importance of understanding the specific risks that social disconnection poses to refugees who have resettled many years before and their offspring that may assist in better serving currently settling refugees within the United States. This study was funded by the Connecticut Asian Pacific American Affairs Commission (APAAC). U. S. Department of State. Bureau of population, refugees, and migration. Washington, DC: U. S. Department of State; 2009.http://www.state.gov/g/prm/. United States Census Bureau. Selected population profile in the United States (sq 201): Cambodian alone or in any combination (405–409) or (300, a01-z00) or (400–999). 2014. http://factfinder.census.gov/faces/tableservices/jsf/pages/productview.xhtml?pid=ACS_14_1YR_S0201&prodType=table. Asian Pacific American Affairs Commission. Needs assessment of Southeast Asian population in Connecticut. 2014. Retrieved from http://wp.cga.ct.gov/ceo/wp-content/uploads/2017/07/southeast-asian-needs-assessment.pdf.